Our PET water bottle is much more hygienic as it has a PET Handle added to the packaging, so that the bottle can be completely cleaned and hygienized, unlike the other polycarbonate bottles that have a handle that makes part of the container and through which water cannot circulate during the cleaning process. Of this form, we erase the possibility of bacteria accumulation and obtain a total cleaning of the bottle and grants the healthiness of the water and people. Our PET water bottles, in their different formats, are totally suitable for all water dispensers, for our metallic bottle Racks, able to store up to 4 bottles, and for the water bottle Stackers. 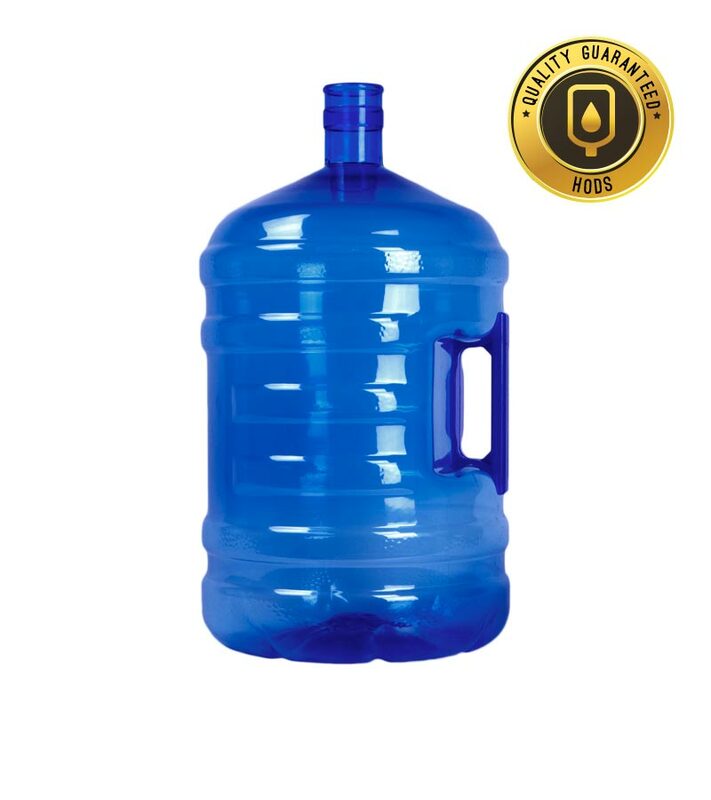 The colours in which they are made protect the water against UV rays, and improve the final aspect of the PET water bottle, the available colours for the 5-gallon PET bottles are: Blue, Red and Green Turquoise. High quality PET water bottle made in Valencia (Spain), with Hygienic and PET Handle inserted. It is the most hygienic because it can be totally cleaned. Product made with PET and complety BPA free. It protects the water against UV rays as it is made in blue, red and green turquoise. 18.9 liter PET water bottle suitable for 5 galons Caps.